When I wrote my blog post about why the 'Cellular Broadcast may fail again' for the Cisco SP Mobility blog, I did not realise that this would become so popular and there would be so many people writing to me to tell me why and how my assumptions are wrong and how they plan to succeed. I have not yet received a successful reasoning on why people disagree with my article and where I am wrong. 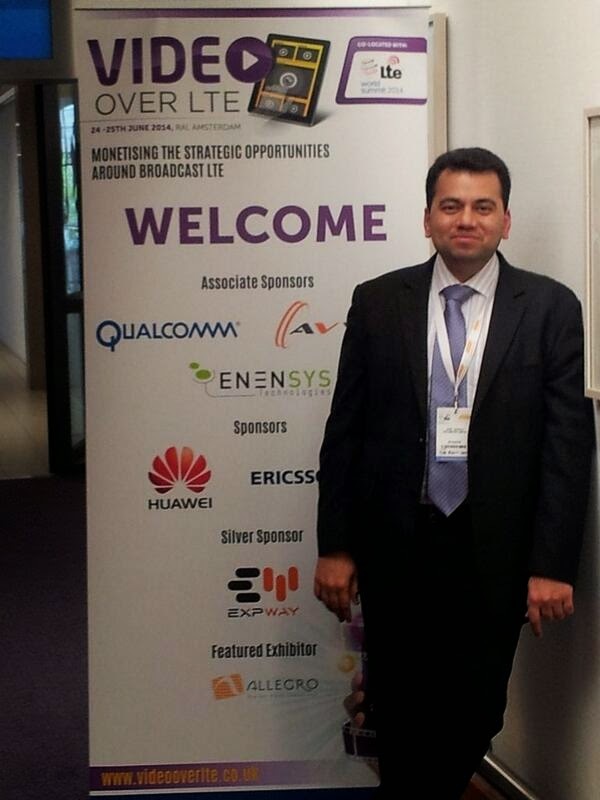 In the Video Over LTE Summit just concluded, I did not get a chance to see all the LTE-B presentations but the ones that I saw, were not convincing enough, except for one by Erol Hepsaydir, of '3' UK, that I explain in the end. The conclusion is not self-explanatory so here it is in my own words. I am not opposed to the operators trying LTE-B out. I wish more operators do try and hopefully we can have a model where the technology can succeed. When operators succeed in a new technology, it benefits the whole mobile ecosystem directly or indirectly. The operators have to be prepared that they may not see any return. This should not discourage them because the learnings from this may benefit in something else. 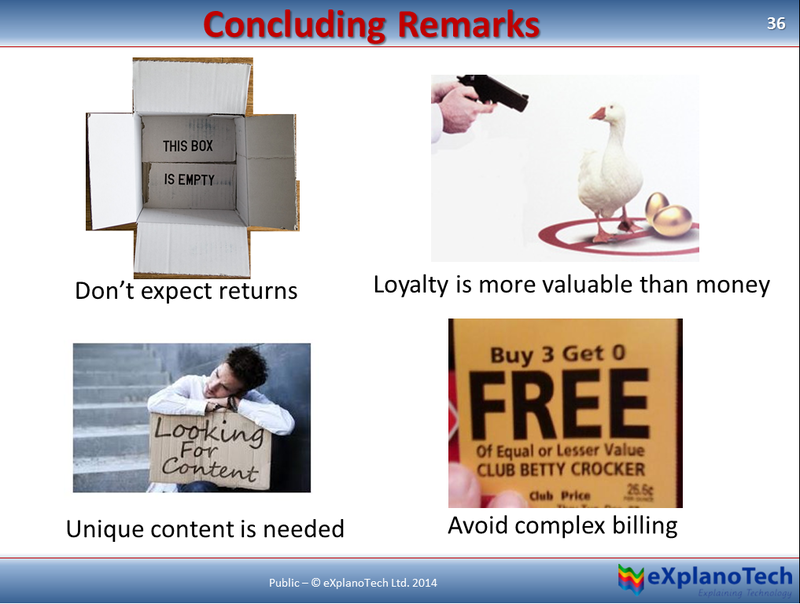 The customer and their loyalty is more important. We should try and provide them with a value addition rather than think of this as a new source of revenue. People are not interested in watching the same stuff they watch on the terrestrial TV on their small devices; unique and maybe tailored content would help. Finally, don't make the billing model too complex so the users shy away from trying this new technology. The final presentation of the event was delivered by Erol Hepsaydir of the UK operator '3'. He said that from their point of view, they are trying to have eMBMS to create additional capacity in the network. If they know that many people watch news on different apps and websites, they can offer this as a free service over broadcast. What this means is that they have gained customer loyalty and also free up the capacity for other users who are doing other data related activities. I think this is a very clever approach. He did mention though that they are only in the simulation stages and have not tried it out practically. Half of all British children believe online content should be free: study - I had been mentioning this in my presentation that 'Generation Z' will be happy to watch adverts but unwilling to pay extra for watching broadcast TV. They assume everything is free. I agree that the benefit of eMBMS can be in ability to compete for and retain customers even though the direct revenue model is, at least for now, challenging. This is highly market dependent, however operators, might help hold marketshare through brand image and breath of the additional offering that goes well beyond the direct benefits even while building a bridge to future revenue streams or, simply, conversion of current necessary services to the future expected inclusive services. ICT is a high capex vs. cash flow centered business model. The decision to deploy eMBMS may come down to whether it is tolerable rather than directly beneficial to the near term picture.